This oil has been designed for dry, coarse or brittle hair. It will help to keep hair tamed and moisturized. To microwave-safe measuring cup, add all of the ingredients except the lavender essential oil. If necessary, place Babassu Oil in cup of hot water to liquify. Using a microwave on high, heat for 30-60 seconds. Remove and stir until all ingredients have completely melted. Using a plastic dropper, add lavender essential oil and stir. Place empty bottle on scale and tare to zero. Fill each bottle with 2 oz. of product. Let cool completely before placing yorker cap on bottle. To Use: Apply a few drops to damp or dry hair as needed. Do not rinse. Ingredient Label: Olive Oil, Coconut Oil, Argan Oil, Babassu Oil, Lavender Essential Oil. "Can I use a different essential oil, or is Lavender part of the moisturizing effect?" Staff Answer We try to choose a scent that most people will like but you can use another essential oil if you like. "Doesn't the coconut oil 76 degree harden after it is put in the bottle? " Staff Answer It may turn slightly cloudy if kept in a cool place. Simply run the bottle under warm water for a minute or so and it will be fine. "How do you use this product/recipe? Is it used before or after shampooing?" 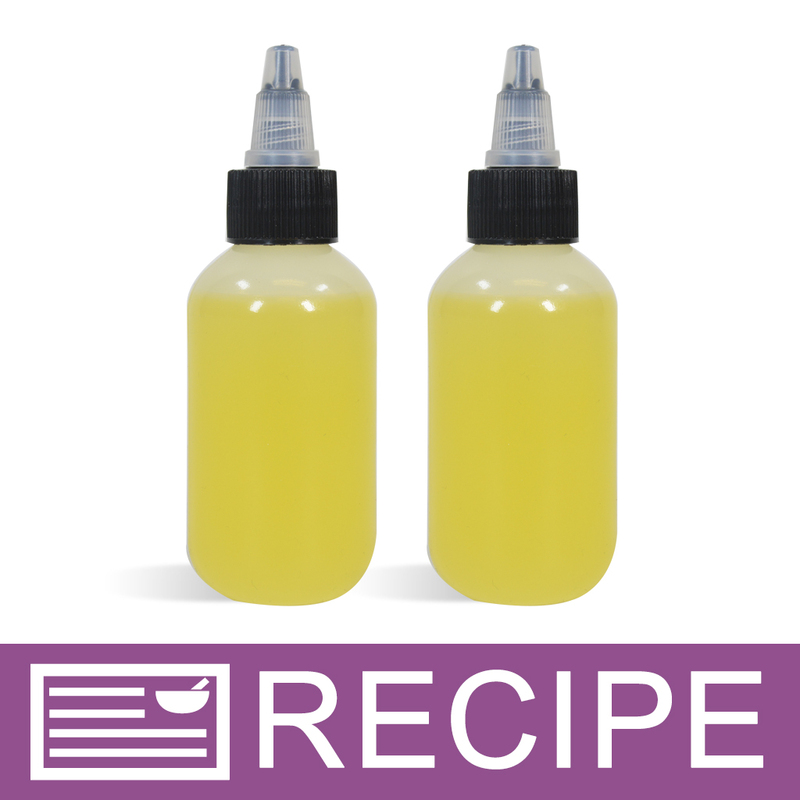 Staff Answer Here are the directions listed on the recipe: Apply a few drops to damp or dry hair as needed. Do not rinse.